Love, deception and murder dominate as shadowy organizations battle for power over a nation's future. Prague 2015. Herbert Biely, aged hero of the Prague Spring, stands on the brink of an historic victory, poised to reunite the Czech and Slovak Republics twenty-six years after the Velvet Revolution. But other parties have their own agendas and plans for the fate of the region. A shadowy collective, masked as an innocuous European Union Institute, will do anything to preserve the status quo. Institute operative Peter Lowe's mission is to prevent reunification by the most drastic of measures. 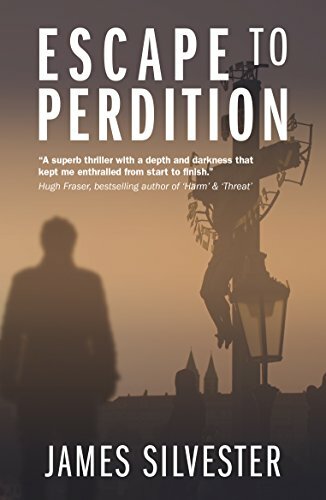 Yet Peter is not all that he seems – a deeply troubled man, desperate to escape the past, his resentment towards himself, his assignment and his superiors deepens as he questions not just the cause, but his growing feelings for the mission target. As alliances shift and the election countdown begins, Prague becomes the focal point for intrigue on an international scale. The body count rises, options fade, and Peter's path to redemption is clouded in a maelstrom of love, deception and murder – can he confront his past to save the future?